St. Andrews is without a doubt one of the most famous golf clubs in Scotland and there are few places in the world where you can walk the path of so many legendary golfers before. There are six fine courses in total but the Old Course is the most prestigious; in fact, one of the most celebrated golfers of the 20th Century, Bobby Jones once said that if he had to play only one course for the rest of his life, he’d grow old on the Old Course at St. Andrews. And the local area is so beautiful that it’s the perfect place for a luxury vacation. We feature Kemback House, a stunning 15th Century mansion ideal for large golfing groups or extravagant golfing vacations with the family. Located just 6 miles from St. Andrews, the Fife Coastal Path and other points of interest, you’ll be perfectly placed for a fun-filled break. Nairn Golf Course is one of the most underrated golf courses in Scotland and we think it’s a fine place to play for golfers at every level. 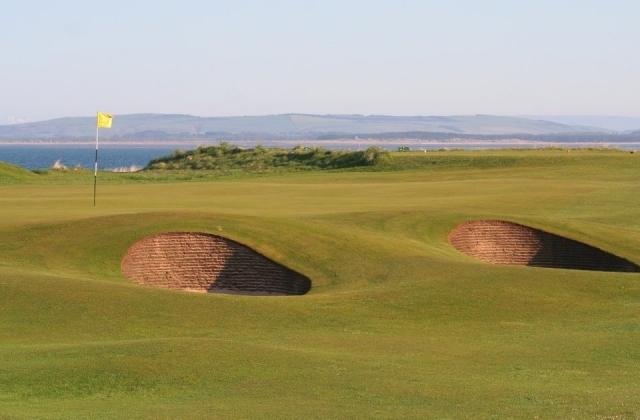 The course offers a true challenge with a strong westerly that demands accurate driving and precision second shots; but what’s really remarkable about this course is that from every single hole, you will be able to get an unobstructed view of the Moray Firth inlet protruding out into the wild North Sea. An incredible sight to behold and a serious challenge not to hit the ball into the sea in the first seven! Nearby sights include Cawdor Castle and Brodie Castle and a fabulous place to stay would be Gordon Castle which is one of our featured properties. Royal Durnoch is a championship course ranked 5th in the world and 1st in Scotland by the latest Golf Digest in 2016. Located close to the Highland coastline on Scotland’s East, this course is a spectacular place to play and a great place for people on vacation. The course itself offers incredible views of Dornoch Firth and the crashing waves will form a backdrop to your game. A proud member of Highland Golf Links, this course and club is wild, isolated and so much fun! The club is semi-private so both visitors can book allocated tee times. Muirfield Golf Club in East Lothian is one of the most exclusive places to play. It is a privately owned links and is home of The Honourable Company of Edinburgh Golfers, a body that dates all the way back to the 1744. The 18 hole golf course is one of the oldest in the world today, Muirfield is a well-known host for major amateur and professional championships, international championships, as well as men and ladies championships. To date, the club has hosted 16 Opens Championships and 11 Amateur Championships, and although the club is private, tee times are available when booked in advance. For an extravagant self-catering country house in East Lothian, we recommend our featured Georgian mansion, Gilmerton House, which sleeps up to 20 guests. This incredible resort golf course is a great place for the whole family with breath-taking scenery and luxurious surroundings. Complete with spa and fine dining, the fabulous Turnberry overlooks the sea and is set in a stunning Edwardian building which dates back to 1906. And the iconic course, the Ailsa Course, has been designed by the renowned architect Martin Ebert and today it features five of the world’s best par 3s and plus it offers one of the best coastal golfing experiences in the world. Here you will be located less than 5 miles from Culzean Castle and just 16 miles from picturesque town of Ayr. A wonderful Scottish castle hotel to stay in, recently renovated to a very high standard, is Glenapp Castle, overlooking Ailsa Craig. 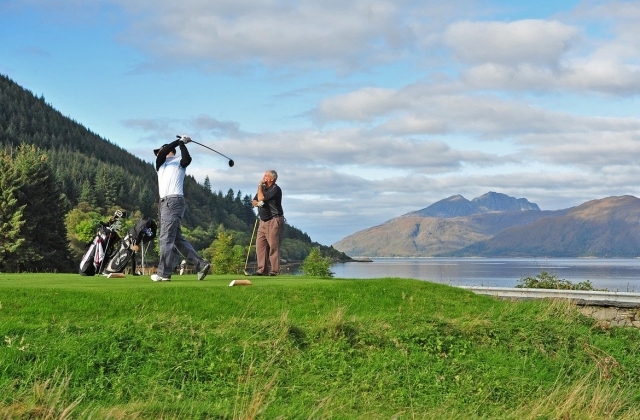 Loch Lomond is a private golf course, a famous course that is the host of the Scottish Open. The 7,100 yard 18-hole golf course was designed by Tom Weiskopf and Jay Morrish and it offers beautifully manicured fairways and rugged mountain backdrops with tempting glimpses of the Loch through the lush green trees; a truly unique setting with the most jaw-dropping panoramas. The legendary PGA and Champions Tour golfer Tom Weiskopf, who was extremely successful in the 70s, has said of his design: “I consider Loch Lomond my lasting memorial to golf”. 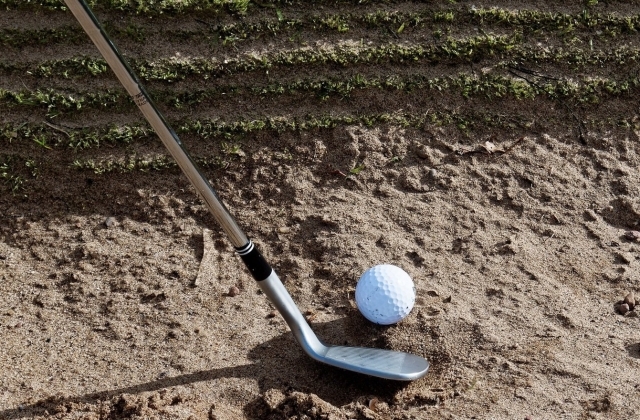 Musselburgh Links is one of the world’s oldest golf courses and it’s open to the public all year round. We feature some incredible self-catering properties in the East Lothian area for the perfect golf vacation and some nearby attractions include Tantallon Castle, Dirleton Castle, Bass Rock, Prestongrange Museum and John Muir Country Park. The golf course is interlaced with the Musselburgh Race Course and anyone aged 25 or under can enjoy a whole season of golf for just £30. This a classic links course is set among the soulful sand dunes of western Scotland and it has gained its respectable reputation over the years, particularly for the Championship Course’s challenging first hole. It’s a rough start, even for the most skilled golfer and Atlantic winds are a big factor in course’s extreme difficulty. With a 6,225-yard par-70 layout, wild grass and threatening pot bunkers, this notorious course is both beautiful and tough. But for those who are up to the challenge, the course is a pleasure to play and it offers a quiet, calm and secluded atmosphere with the most perfect sea views at the end of the undisturbed peninsula. Truly idyllic and a great place for the whole family to reconnect with the great outdoors. Host of the 2016 Open and a previous eight British Opens, Royal Troon is a well-known course among amateur and professionals. The Old Course is a challenge to even the most seasoned of golfers and with strong winds and deep rough interspersed with gorse and broom, accuracy is key. The most notorious hole is Postage Stamp (hole 8), famed and feared because the 123-yard par 3’s green is so small. This is one of the most famous courses in the world and has already hosted seven Open Championships, one Ladies Open and one Seniors Open, plus it’s also one of the three co-hosts together with St. Andrews and Kingsbarns to host the annual Dunhill Links Championship. It’s long been regarded as the toughest course of all the Open venues so if you’re looking for a serious challenge, Carnoustie is definitely recommended. The most challenging part of playing here is the unpredictable winds so accuracy will become an important factor of success or failure. Cruden Bay Golf Club won the title of ‘Scottish Tourism Course of the Year’ in 2015 and is only 2 hours’ drive away from St. Andrews, the area that is officially known as the “Home of Golf”. This famous semi-private course is bursting with quirky charm and offers one wild hole after the other, all set along the stunning coastline. Watch out for the challenging par-4 14th with its unique funnel green and be sure to keep your wits about you when it comes to the coastal winds. This distinctive course is fantastic for golfers who are in search of a challenge and will really put your golfing skills to the test. Non-golfers can also spend their time on the beautiful sandy beach or visit the nearby Slains Castle. Kingsbarns Golf Links is a course that is dedicated to hosting a classic and traditional round of Scottish links golf for anyone who loves the sea – with incredible coastal views and beautiful vistas with every single hole, your game is set to be a memorable one. Located less than 9 miles from the illustrious St Andrews Old Course, Kingsbarns is one of the many outstanding courses in the Fife area. This is a Worldwide Top 100 course and is the co-host for the annual Alfred Dunhill Links Championship and has also previously hosted the Ricoh Women’s British Open. 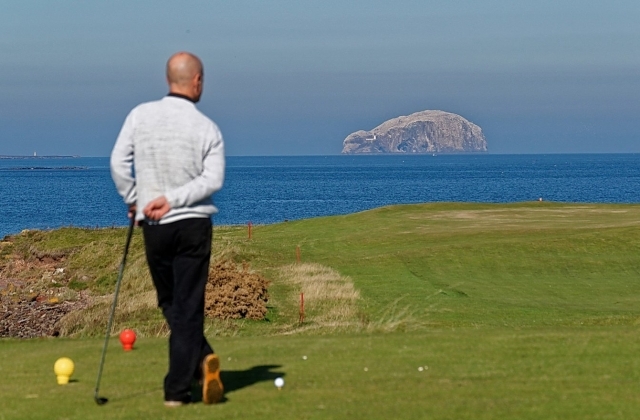 Another fantastic golf course in the East Lothian area is North Berwick and it offers incredible views of the Firth of Forth and islands of Bass Rock, Craigleith, Lamb and Fidra as well as North Berwick town. So the views really are unbeatable! You’ll also be located close to other well-known clubs such as Gullane and Archerfield plus you’ll be less than an hour away from the city of Edinburgh. Stay in our featured Gilmerton House in the East Lothian area and you’ll be ideally located to explore this vast and beautiful area for both golfing and sightseeing. Although this course is private, visitors are welcomed year round and will be able to share the same facilities and club experience as the private members. In fact, North Berwick are known for their unique hospitality, ensuring that they treat all visitors just like member for the day – so you’ll be sure to receive a warm welcome here. Golf has been played at Gullane for more than 350 years and there are three courses to choose from. We particularly love Course No.1 which has been carved into the ancient links turf with pot bunkers, wild grass and smooth running greens. This course has been ranked as the 5th ‘Most Picturesque Golf Course’ in the world by PGA and the club is known to have some of the most influential members in the sport. As a semi-private course and club, visitors are welcomed through advanced bookings and there is even a children’s golf course which is completely free of charge and no appointments are required. 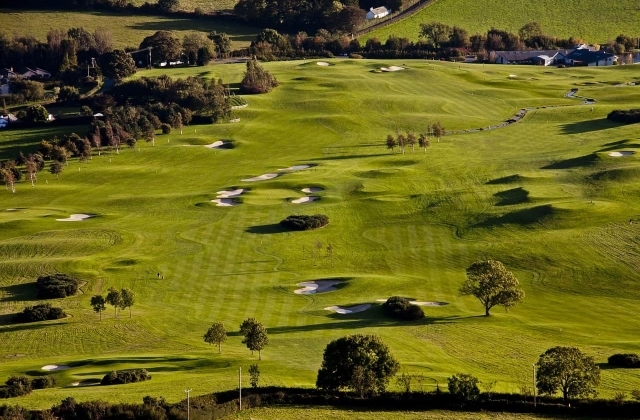 This stunning resort golf course is located in the County of Perth and is located just 40 minutes away from Stirling Castle, a popular tourist attraction for the whole family. The course itself (Kings Course) is wonderfully manicured and is surrounded by lush greenery, and it is considered by many to be a wonderful architectural and landscaping masterpiece. The course, which opened in 1919, has long been a favorite for many professional and amateur golfers as well as various members of the aristocracy but golfers must be prepared for a challenge; one which requires absolute accuracy and selecting the right club will be an important factor on your success as the shot is always a little longer than one might expect here. And with the strong yet subtle winds, the famous Kings Course at Gleneagles is set to be tough yet rewarding.